Phos to alethinon: Heavenly pearls! 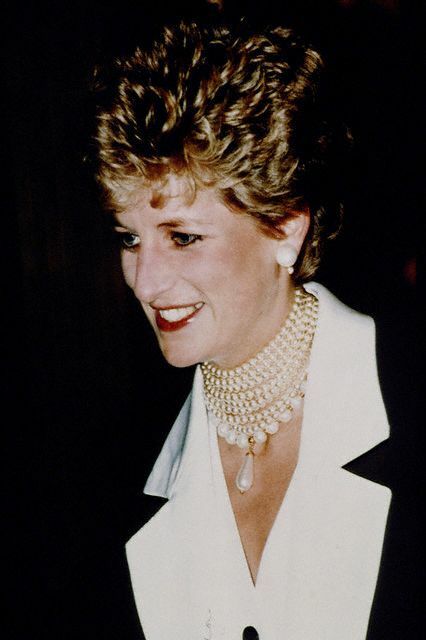 Princess Diana just loved pearls! Another Phos to alethinon bookmark Philip Ball, What makes pearls round? Nacre [Mother of Pearl] is an astonishing material. It consists mostly of the mineral aragonite, a form of calcium carbonate (the fabric of chalk and marble). The mineral is laid down as microscopic slabs stacked in layers and “glued” with softer organic membranes of protein and chitin (the main component of the insect cuticle and shrimp shell). This composite structure, with hard layers weakly bonded together, makes nacre extremely tough and crack-resistant, which is why materials scientists seek to mimic it in artificial composites. It also reflects light in a manner that creates interference of the light waves, producing the iridescence of mother-of-pearl. Also the writers of the Holy Bible elevate pearls high up even to the gates of heavenly Jerusalem! I also want the women to dress modestly, with decency and propriety, adorning themselves, not with elaborate hairstyles or gold or pearls or expensive clothes. * Note that in many Old Testament verses the Hebrew word פּני פּנין (pni, pnin) is translated as ruby rather than as pearl, for example Proverbs 3:15 et al.